What are invited users and when should I use this feature? When should I use invitations? Invitations should be used to invite people that have a Google Account but are not part of your Google Orginisation. This means that the users should not have the same email domain as your company. Example use cases are external consultants, third party companies, subsidiaries ect. 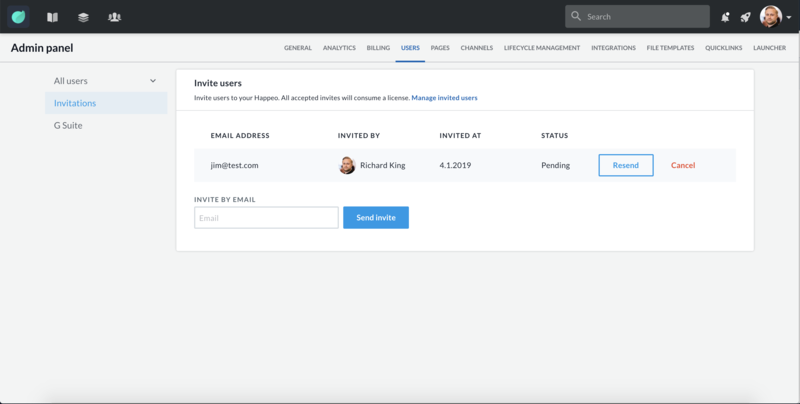 How does inviting users work? 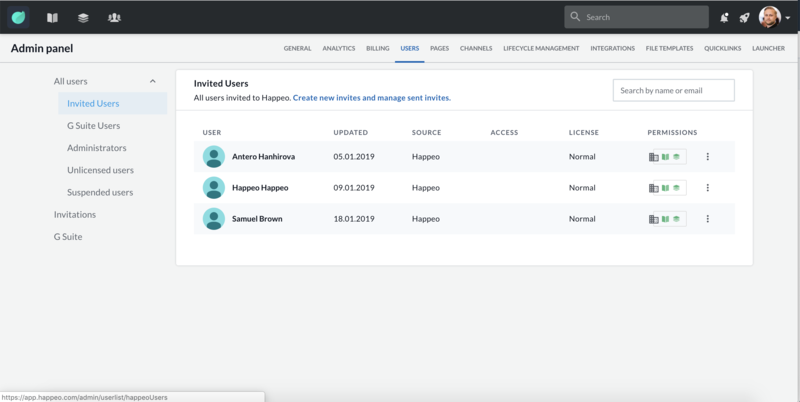 To add an invited user you will need to be a Happeo Admin then go to Admin Settings then to the Users tab. In the Users tab you will need to select Invitations. From this section you will be able to Invite Users by typing in their email address and clicking "Send Invite". You can also monitor invitations that have been sent but not accepted and resend them where needed. 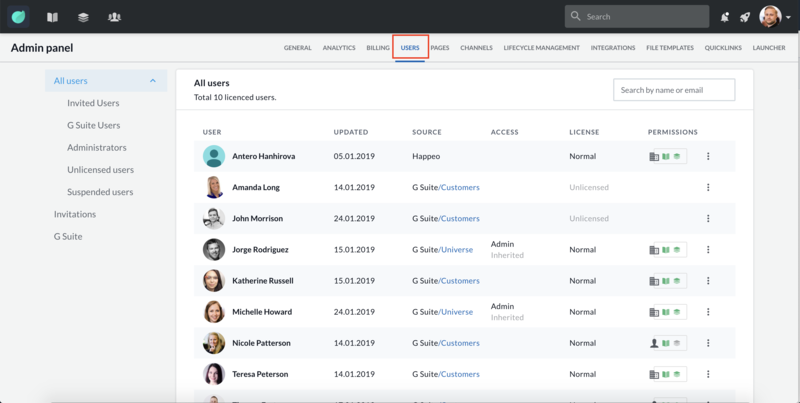 Note that after a user has accepted the invitation they will no longer show in the section and will show in under the all users dropdown under Invited Users. From here you can manage their user permissions.